Our range of products include insect bait. Insect Bait for Fruit Fly is a produced by special fermentation hydrolysis method of proteins and carbohydrates which offer insect attracting characteristics to the product. Fly Bait Attractant for Diptera pests of Citrus, Fruit and Olive trees. 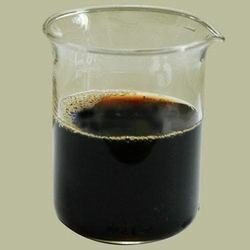 Bio Bait is used in mixture with insecticides. Bio Bait is not a pesticide its just an attractant for flies because of the presence of fermented proteins carbohydrates. BioBait S is used in several crops that are affected by Diptera such as CITRUS (Ceratitiscapitata), OLIVES (Bactroceraoleae), STONE FRUITS (Ceratitiscapitata). Apply BioBait S through foliar spray at 0.5-1.5% (0.5-1.5 litter in 100 liter water) in mixture with the insecticide applied at the recommended dose. Apply to the side of the tree-oriented to the south or apply treating bands 25m. wide every 100m.